[Here is a request in Afrikaans sent out Piet Rudolph. He’s been in the right wing a long time. I met him once at his house and chatted to him. Just some background: In my own diggings into the founders of Apartheid I discovered that the Jews hated 3 men a lot: Malan, Strijdom and Dr Verwoerd (whom the Jews had killed). Now Malan was the first Prime Minister of South Africa under the new Apartheid system they created in 1948. They referred to Malan’s followers as: Malan’s NAZIs. But they weren’t real NAZIS in the way that you understand Hitler’s National Socialism. Malan was a Christian Preacher who firmly believed the Boers were God’s chosen people. This is the same as what Alex Linder was saying in one of our shows about people who read the Bible and then they say: “That’s us … its talking about us…”. Exactly. I can show that Dr Verwoerd (who wasn’t a Boer but actually Dutch), was very likely a closet NAZI – a true NAZI. Verwoerd hated the Jews and spoke out about them since the 1930’s when he was the Editor of The Transvaler. Now Apartheid was created by this combination of what I’d call “Radical Boere Christians”. They are driven by the Bible totally. It appears to me that Piet Rudolph and many others in the white right in South Africa are really followers of the line of thinking espoused by Malan. But you must remember that they all worked together, regardless of whether they were Christians or closet NAZIs like Verwoerd. Of course, the Christian Church turned out to be the weakest link in the chain because in the late 1980s the Christian Churches of the Boere/Afrikaners then suddenly said: “Apartheid is evil and it is wrong…” and that pretty much was a shot to the head for the Christians. I think though, most of these Boer Christians have instead opted to ABANDON THE CHURCH but retained their belief in Christianity. They also see in the Bible direct racist messages as well – that’s a whole other topic. So we must not forget that radical Boere/Afrikaner Christians AND closet NAZIs and partial NAZIs worked together to create Apartheid, which in my view is the little brother of actual National Socialism – NAZISM. So in the definition of these Boere below, Piet writes that a true Boer must be a Christian. This is their definition. Piet sent out this message and copied me on email so I’m going to publish his message and give out his email address so that interested people can contact him directly. 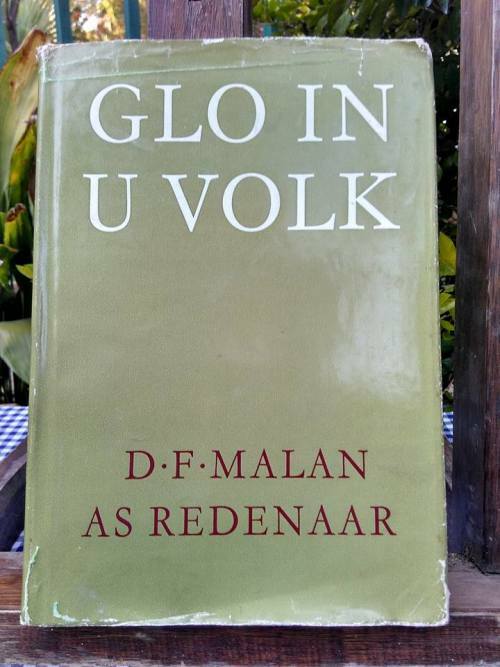 Malan wrote an afrikaans book called: “Glo in u volk” “Believe in your people”. 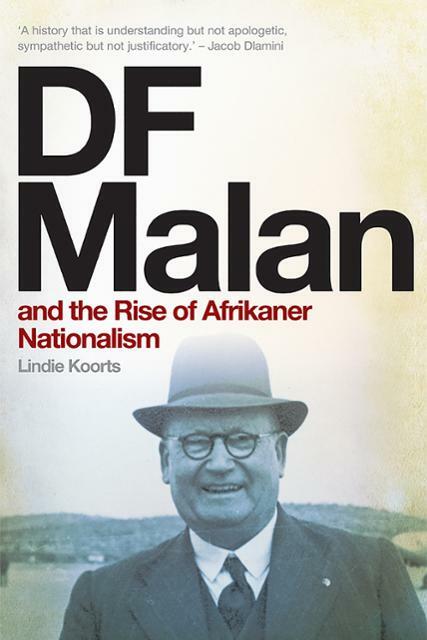 Malan also wrote a book on Afrikaner unity. The Jews and British HATED Malan, Strijdom and Dr Verwoerd. HOWEVER, Verwoerd clearly scared the Jews much more than the other two. Verwoerd was the first time in white South African politics that anyone was assassinated. In fact, like with Rockwell, whenever they failed, they came back and tried again. Thus it was that there were 2 attempts on Verwoerd’s life. Verwoerd is often referred to by the Jews and Liberals as “the Architect of Apartheid” but in fact there were 3. However Verwoerd was intensely energetic and extremely successful. And whenever a white man is exceptionally good at helping his people … HE HAS TO BE DESTROYED OR KILLED OUTRIGHT as with Rockwell, Hitler, etc. So to me the intense efforts made to kill him indicate to me that he was the most successful of the lot. But Malan was the FIRST of the premiers of Apartheid SA and he was a Christian. NB: Piet is also working along with the AWB and as I’ve mentioned, the AWB did EXCELLENT WORK defending whites in 2017. NB: Among the things mentioned in Piet’s declaration is for the reinstatement of the Boer Republics as at: 31 May 1902 – before the British took over South Africa using war. I will repeat what I have said before: The ONLY way for whites to get their own state will be through war and the shedding of blood. There is no other way. But it does help to do the politics and for the enemy to close all the doors. Also don’t forget the experiences of General Constand Viljoen with Mandela. Mandela lied to him, strung him along and basically buggered him around for 7 years on this topic. Viljoen was also trying to get a proposal for a white country in South Africa through negotiation. Viljoen was our best general and he tried the path of peace AND IT FAILED! 1. hierdie skrywe dien as erkenning dat ek u kennisgewing van betrokkenheid ontvang het en u as deel van ons poging om ons Volk erken en weer vry te kry, erken. 2. Dit gaan groot inspanning vereis. As ons suksesvol is sal daar ook groot erkenning wees. 3. Omdat ons weier om knegte te wees moet ons, ons eie aandrang op vryheid organiseer. Daarom hierdie oproep! 4. Die Deklarasie van Voorneme is om seker te maak dat ons met opregte en eerlike mense werk wat die stryd hoog opstel. 5. Dit sal dien as bewys dat ons inderdaad deel van ‘n Volk is. 6. Die Deklarasie sal ook dien om as volksleiers genominineer en verkies te word; om aan ‘n beoogde referendum oor die aandrang op Erkenning en Vryheid deel te neem. 7. Voltooi en stuur terug asb as u deel van die organisasie wil wees. 8. Ter wille van goeie organisasie en betrokkenheid is dit noodsaaklik dat ek behalwe die e/posadres ook u wyksnaam en u telefoonnomer het.Dit sal help om ons mense in hulle gebiede bymekaar te kry en te organiseer! * Aandrang op eie regering op eie grondgebied. Ek verklaar hiermee dat ek nie lid is van enige geheime organisasie of regeringsagentskap is nie. Dat ek nie op klandistine wyse vir die staat werk of inligting verskaf nie. Dat ek nie deelneem aan enige homoseksuele aktiwiteite nie omdat dit onbybels is.